Jason Kravitz (Brussels, Belgium) on 5 June 2006 in People & Portrait. 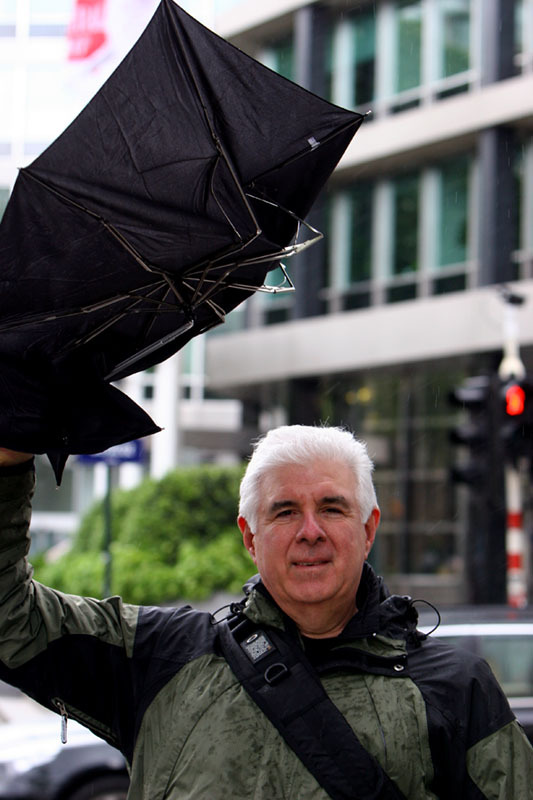 Chicago is not the only windy city - the rain and wind in Brussels can make for some twisted umbrellas as demonstrated by Steve. Hey...this is a nice shot. Steve, you look like some Hollywood hero in this shot. Steve's adventure in Brussels. Funny portrait. But I guess umbrellas are very easy to find in Brussel, because everyone needs it everyday here ! I like the raindrops on my coat.